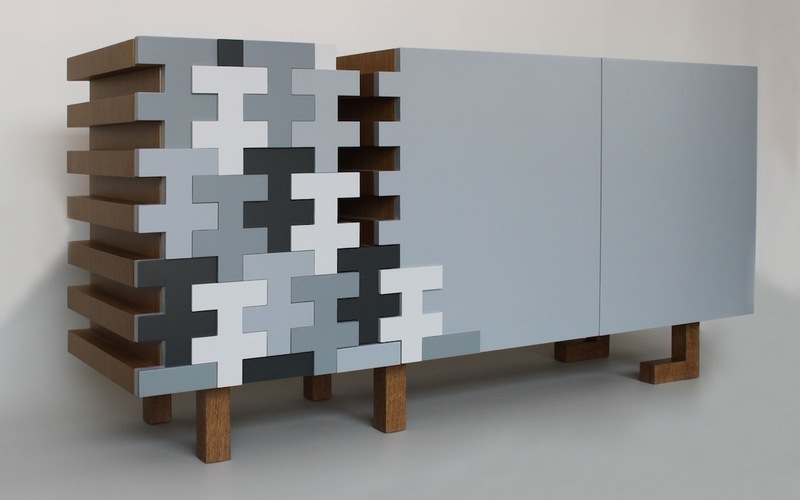 The Nenge cabinet was created by Italian designer Andrea Castiello who recently founded Width Studio. 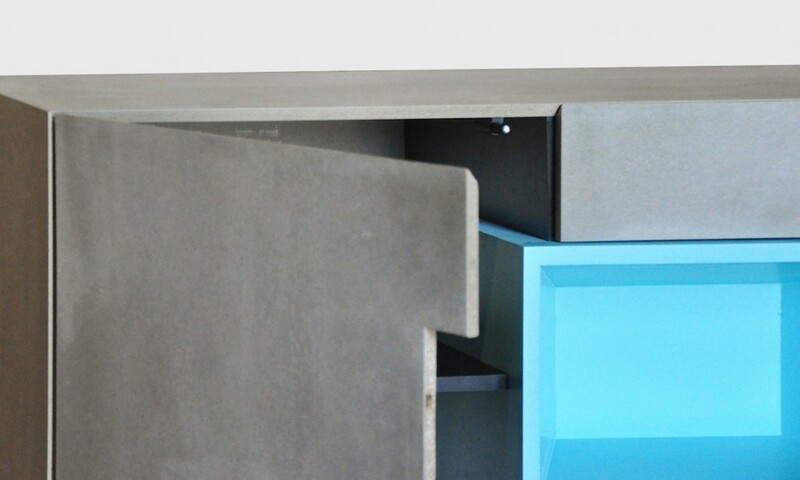 It is a stunning sideboard cabinet with a distinctly minimalistic feel which features grey cement board door fronts and an interesting inset shelf finished in bright cyan. This recessed box sits at the centre of the cabinet and interlocks between two cupboard doors to the side and two drawers above it and below. The title Nenge was derived from Stone Henge due to the almost monolithic stone used panels in the Nenge cabinet. 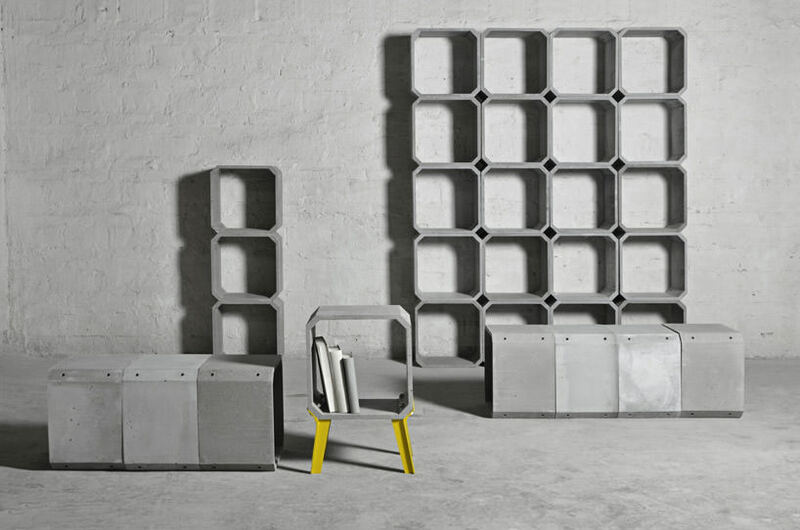 Fibrous cement board has been used in the exteriors of buildings such as the ÁPH80 modular home for a while but furniture designers including Thomas Heichtner with his Basso modular shelving and Andrea Castiello with this Nenge cabinet are now starting to incorporate it into their work. 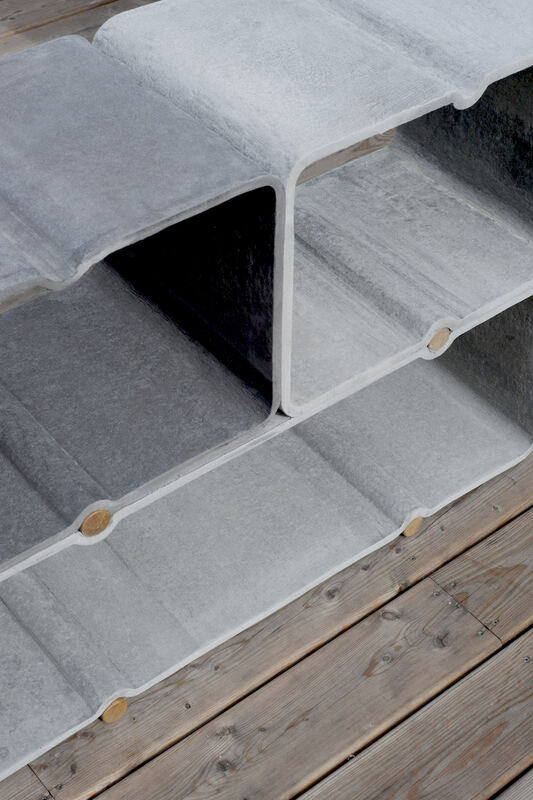 In this case Viroc has been used, a mixture of cement and pine wood particles, which is light weight, eco-friendly and hard wearing. 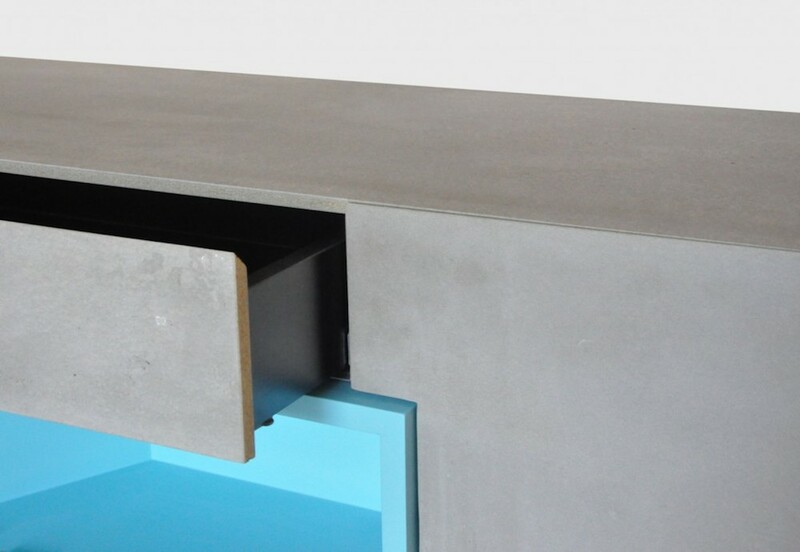 Cement board gives the same raw, minimalistic feel as polished concrete but is far less brittle and therefor more suited to thin applications such as cupboard doors in the case of the Nenge cabinet. 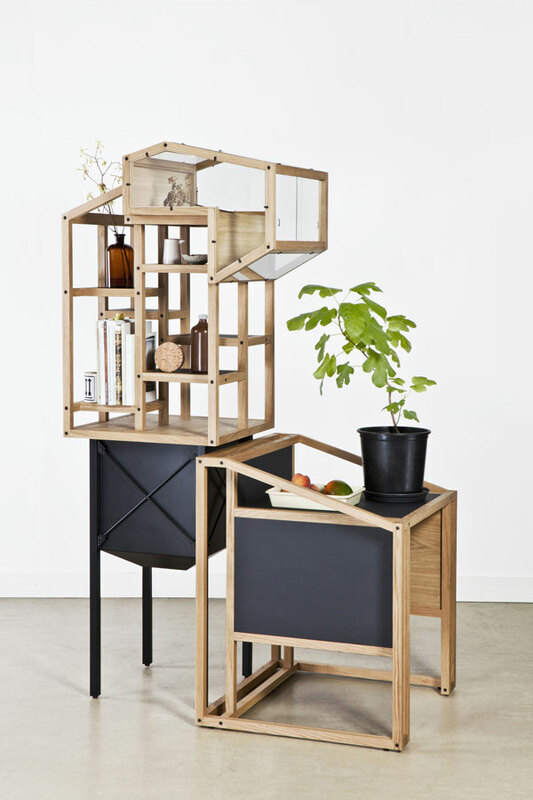 The unit sits poised upon four, slightly tapered, solid oak legs and the recessed central box is made of MDF.